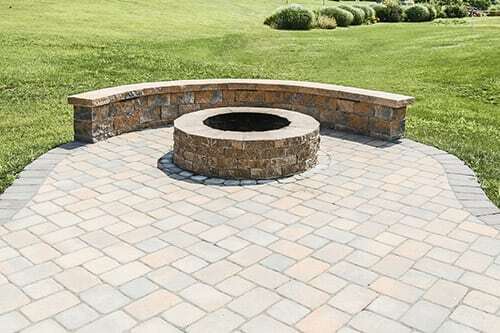 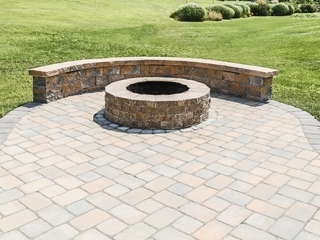 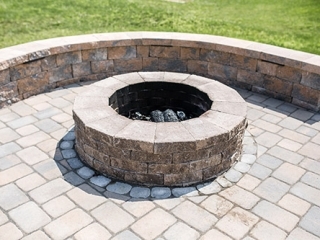 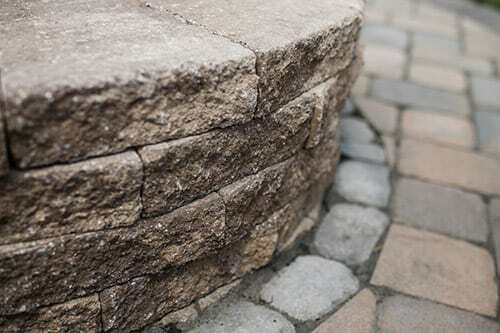 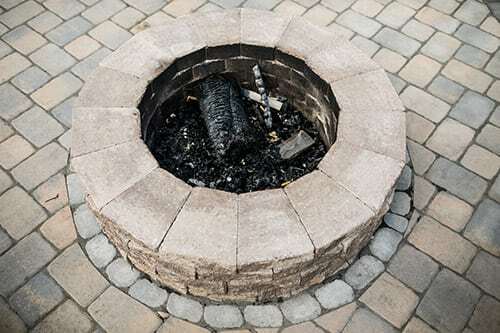 Our outdoor fireplace and retaining wall installation contractors are professionals who enjoy what they do on a daily basis. 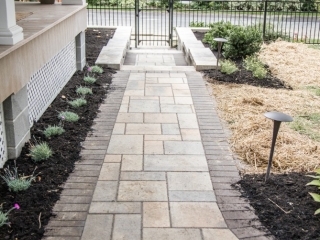 We know there are visions you have had since you made the investment in your home, but you might have not found the time to begin. 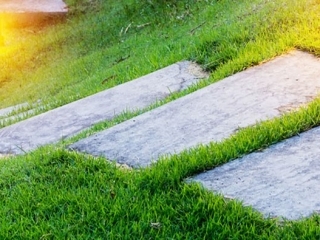 It starts with knowing who to call and trust when you want to get started. 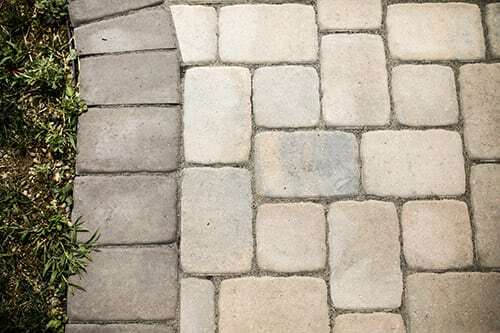 It couldn’t be any easier. 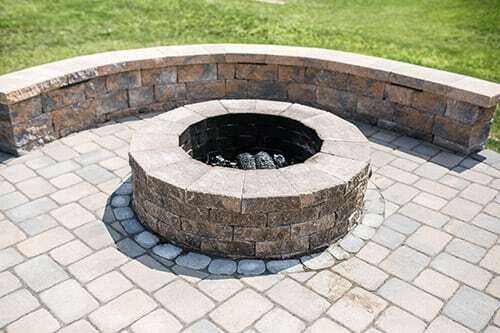 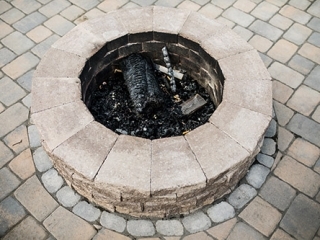 We are well versed in designing and installing retaining walls and outdoor fireplaces, so you will find no stress in the process. 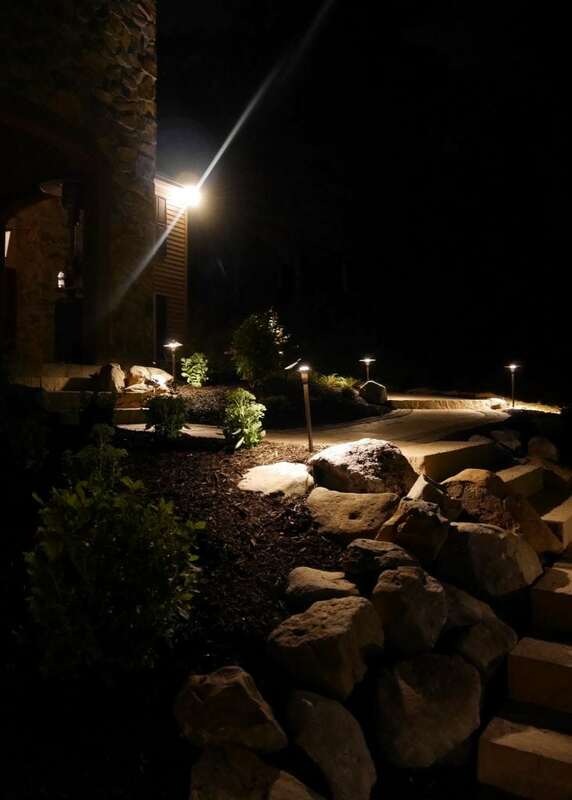 Check out some of our recent installations below. 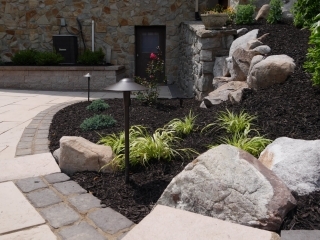 Your yard should be a statement piece about your home. 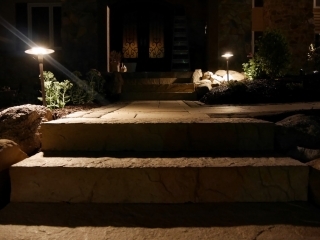 It is the one item we find homeowners having a difficult time finding the time to complete. One of the easiest ways is to contact us! 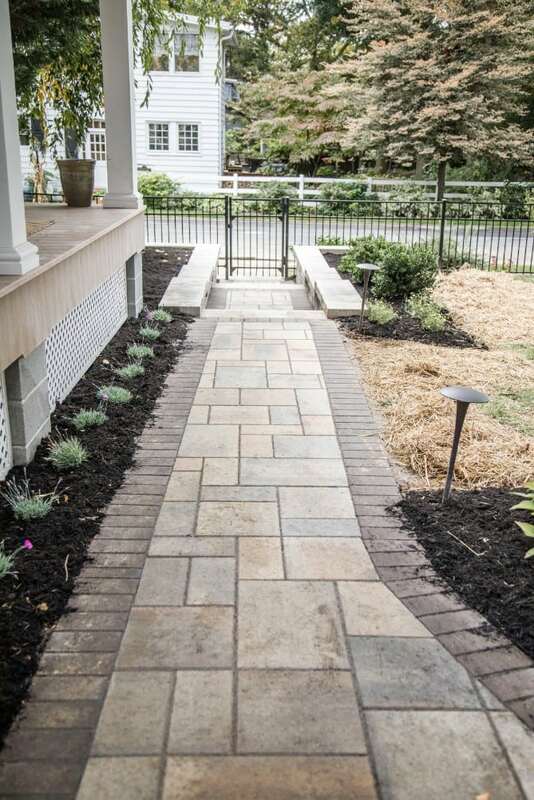 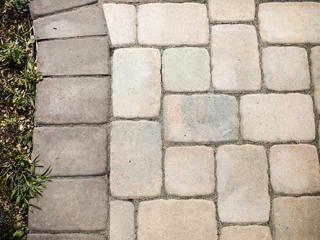 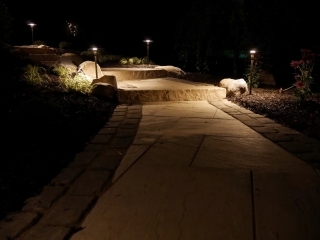 Our walkway and patio installations will be on time, on budget, and everything you ever imagined. 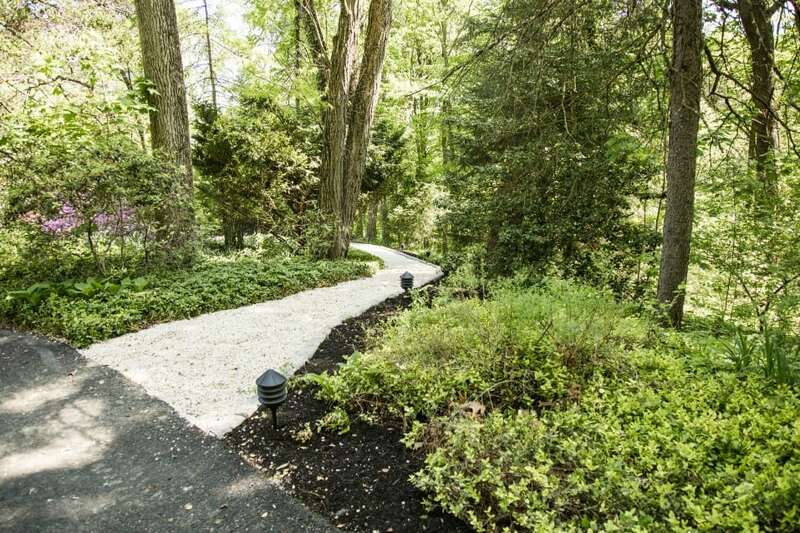 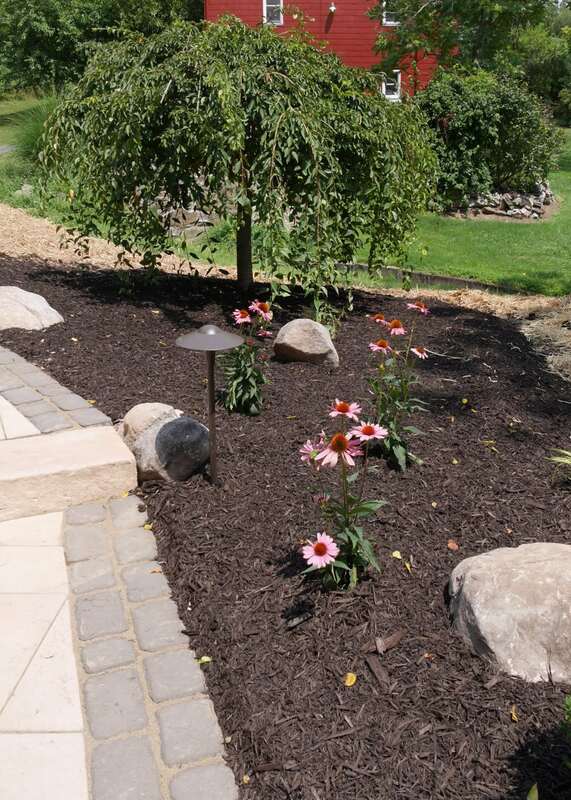 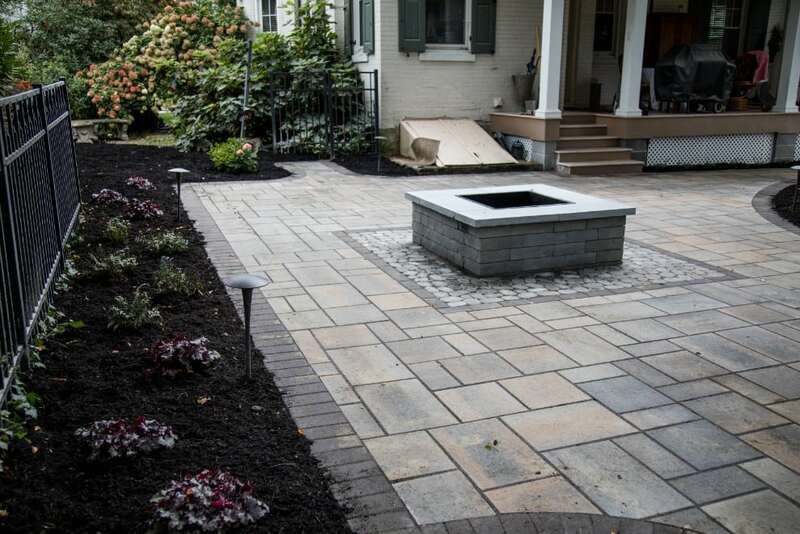 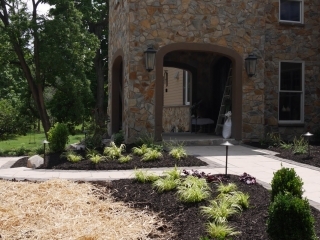 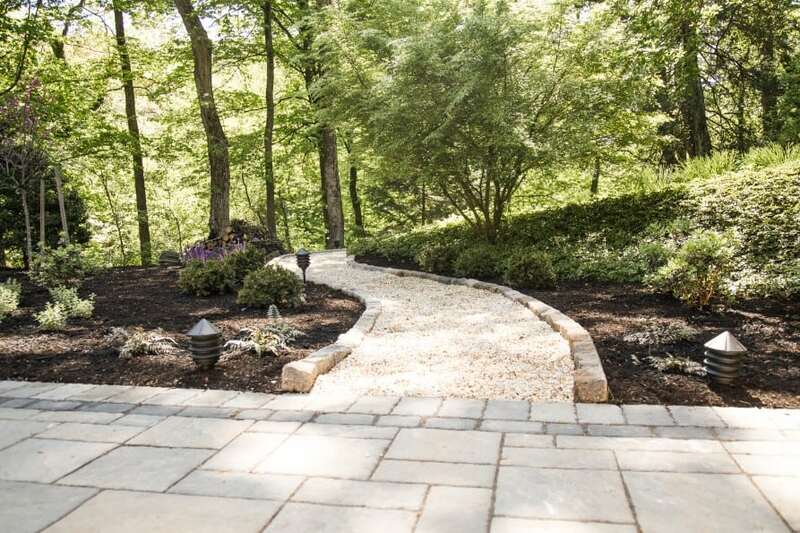 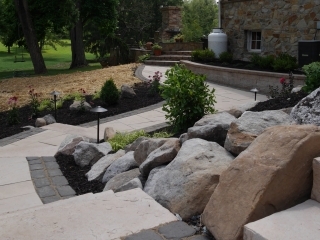 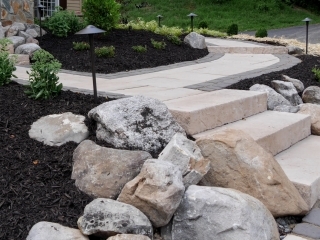 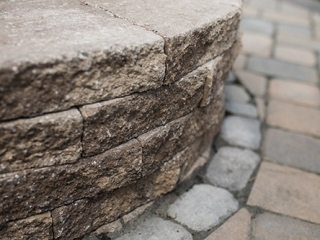 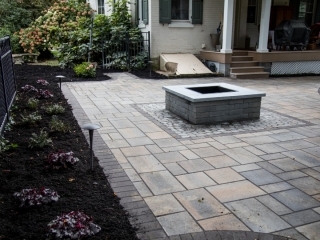 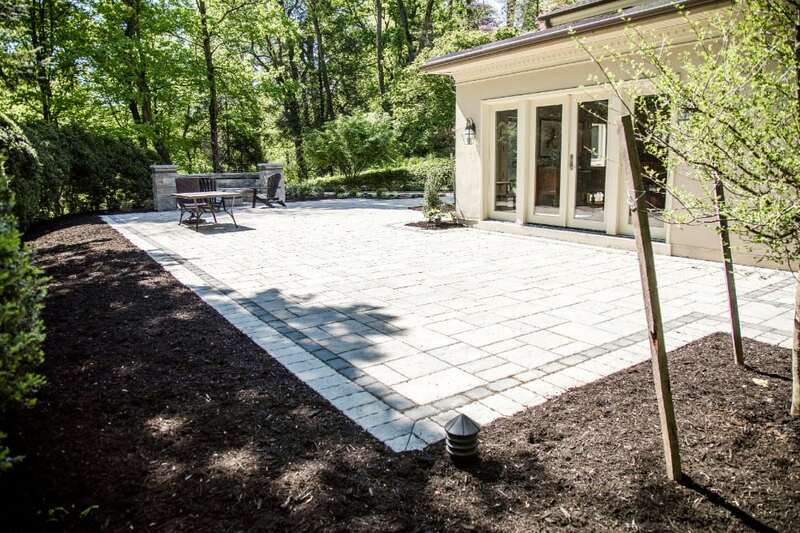 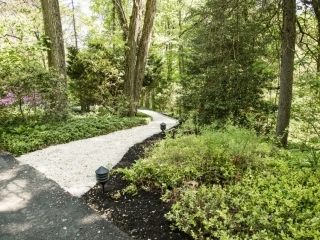 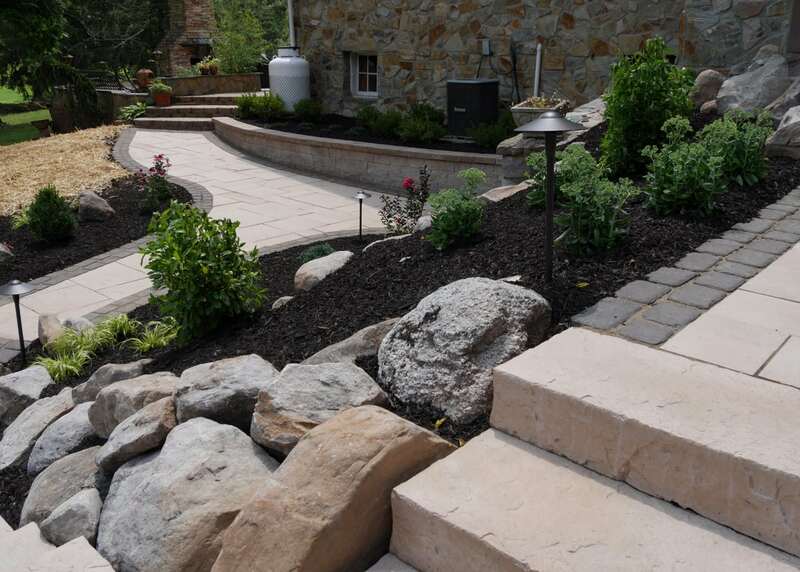 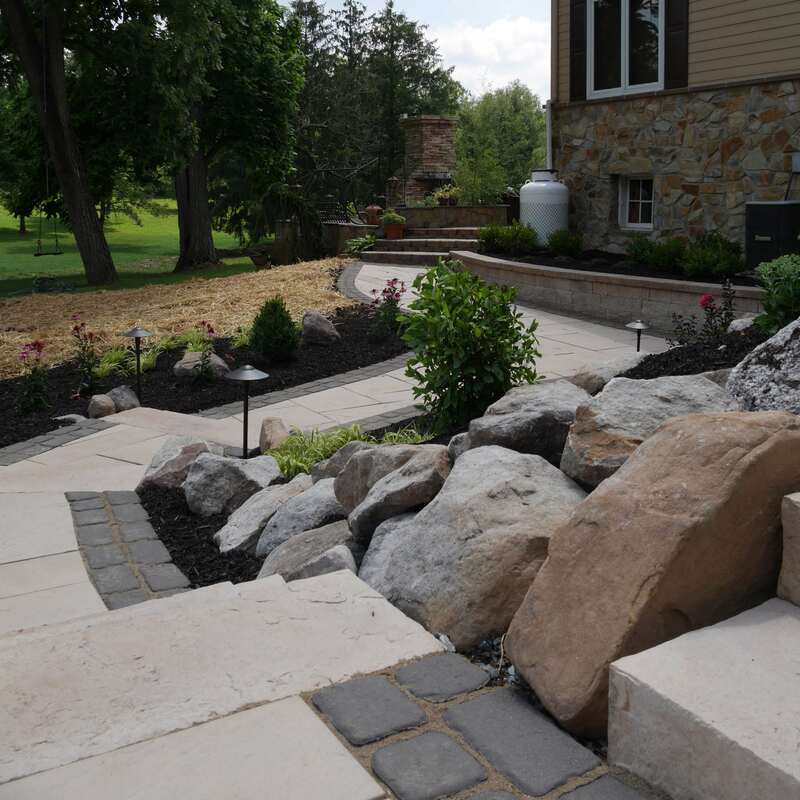 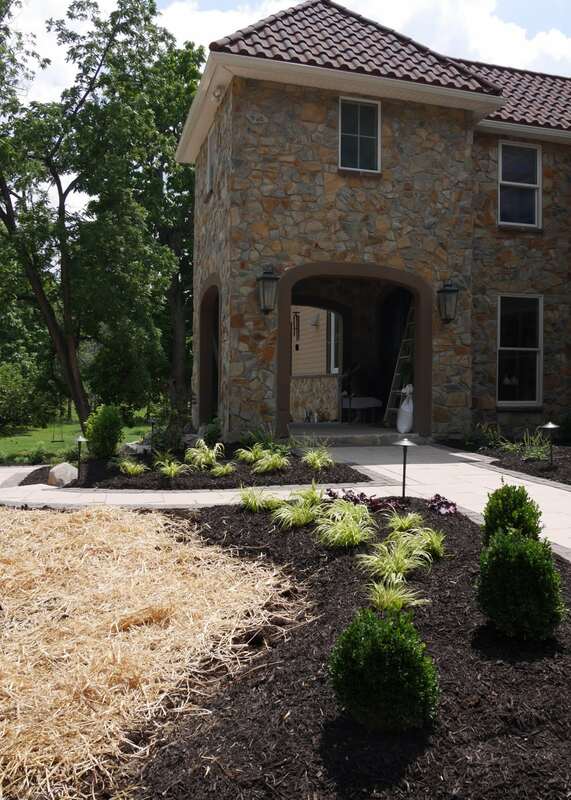 When it comes to outdoor living, the professionals at New Outlook Landscaping have your backs. 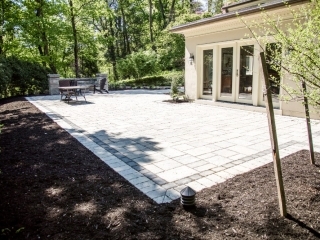 A patio is a great place to hang out, entertain, and enjoy time with friends, family, or even relax by yourself. 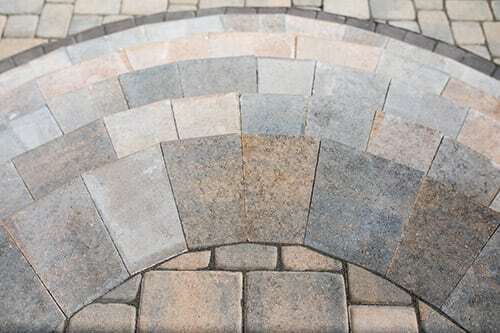 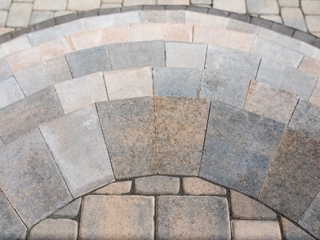 The process has been made simple and we are eager to help you design and complete your stone patio installation. 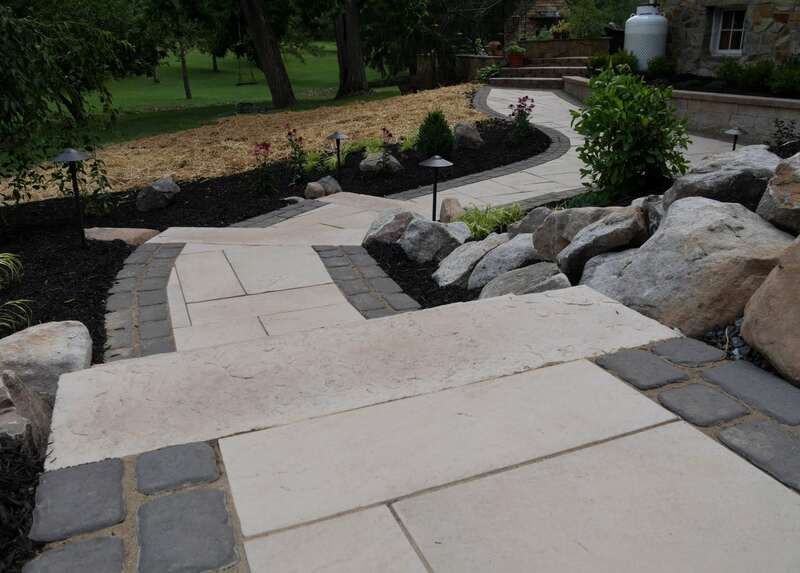 Please see below for some recent walkway and patio installations. 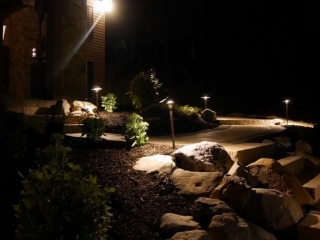 Lighting adds a whole new level of delight and beauty to your yard. 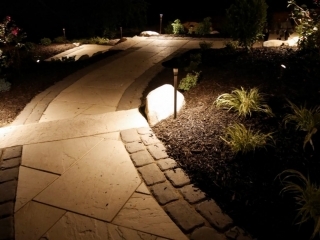 Having the right landscape lighting contractor is essential to a reliable system. Light the way to your front door, garage, garden, or fountain. 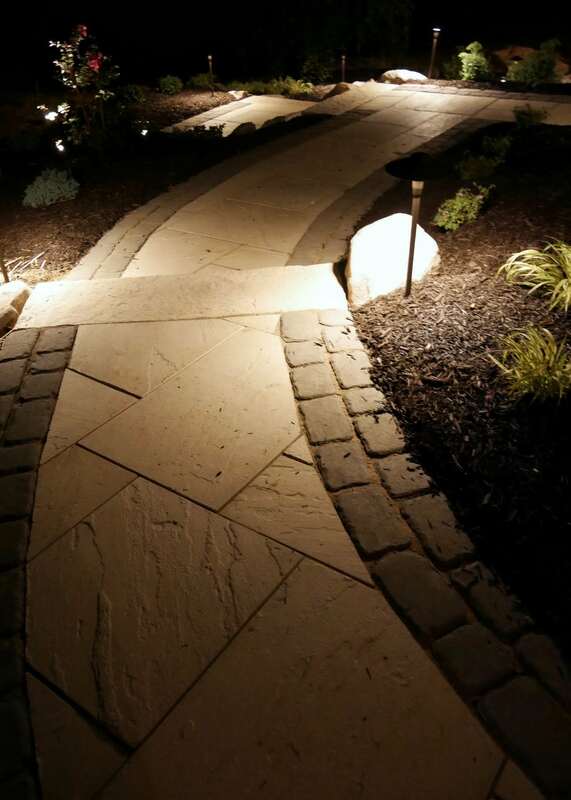 The ideas are endless. 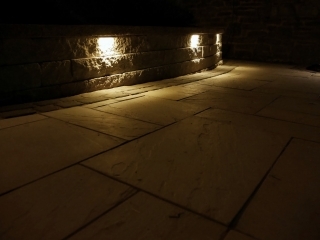 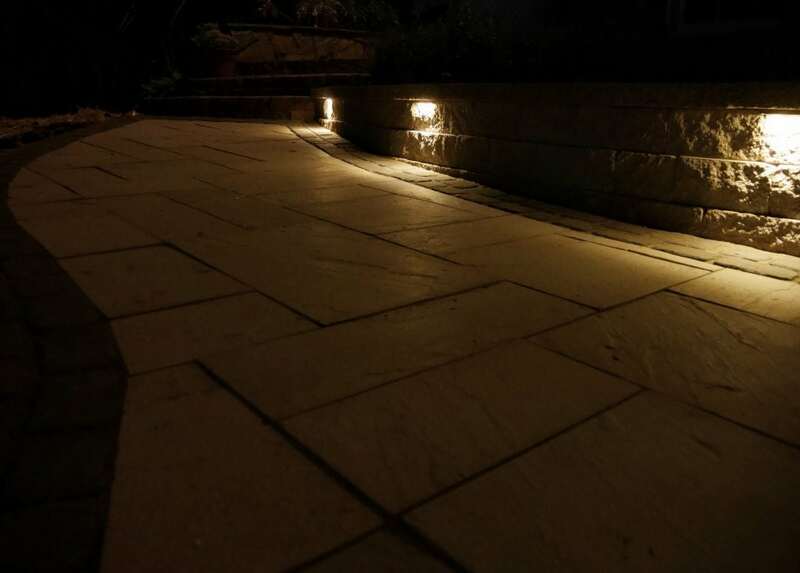 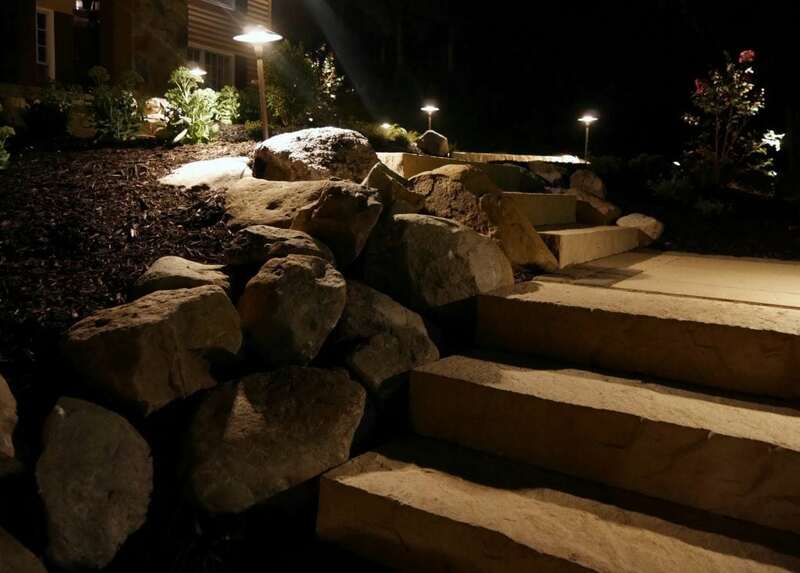 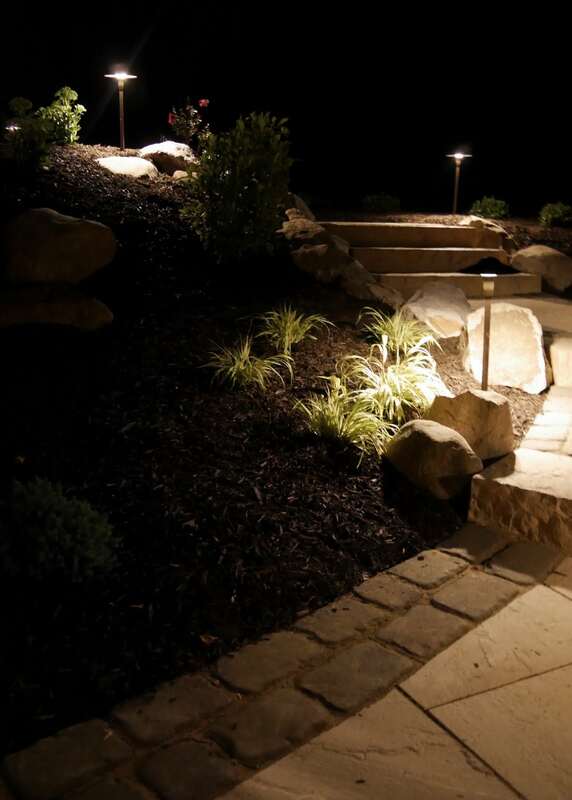 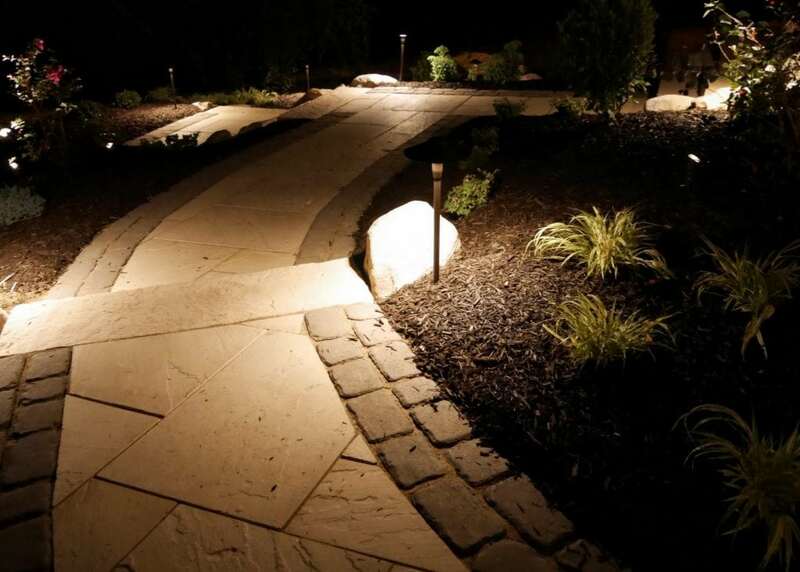 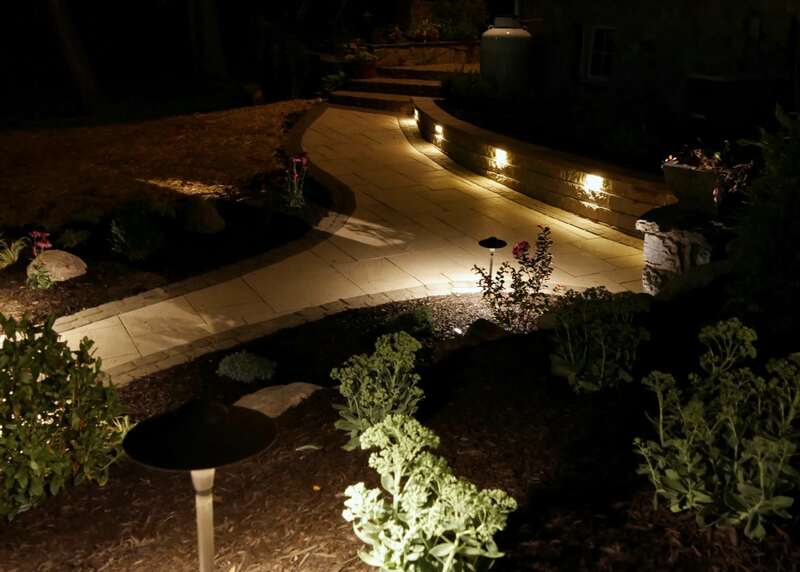 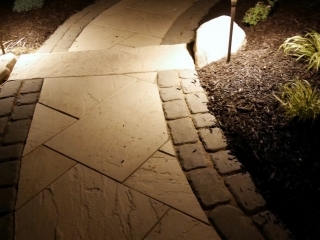 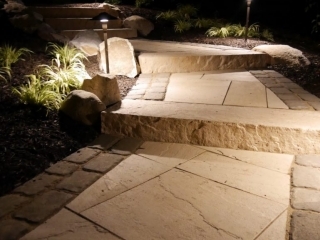 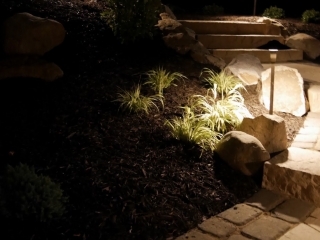 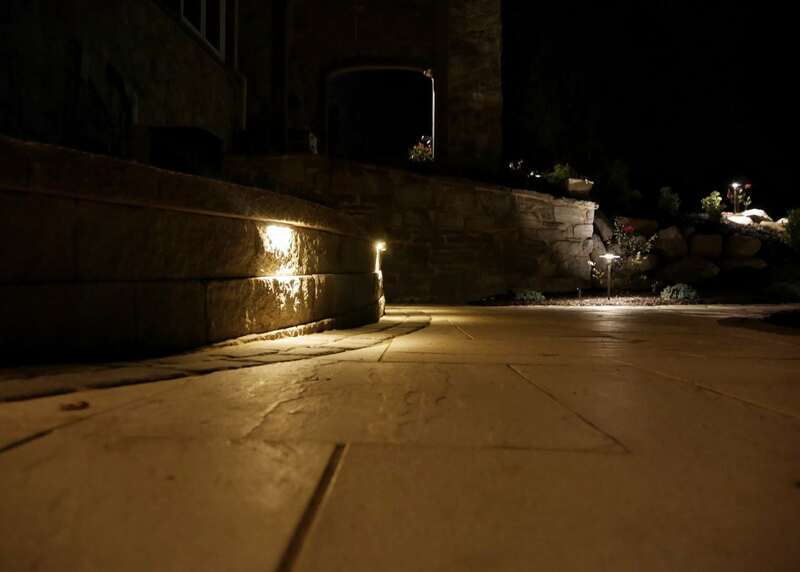 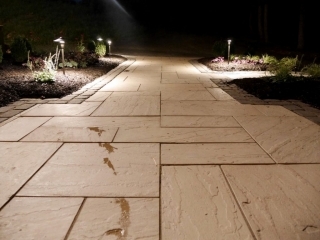 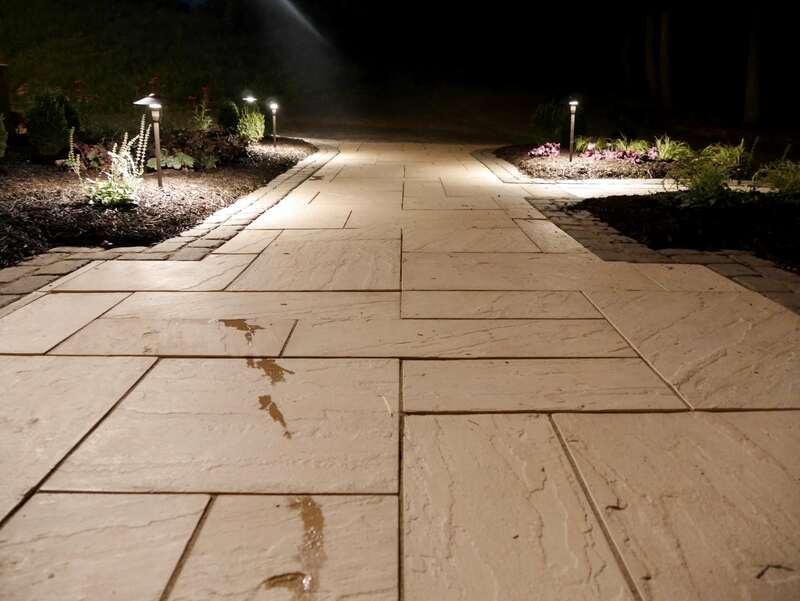 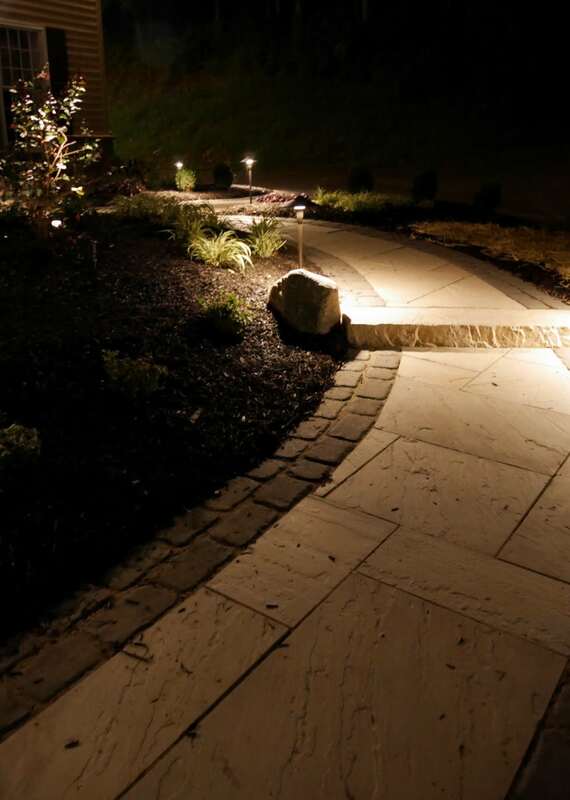 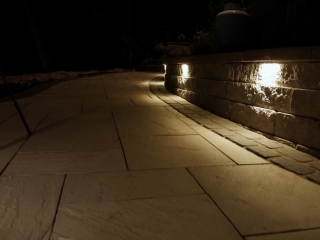 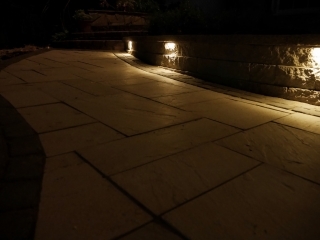 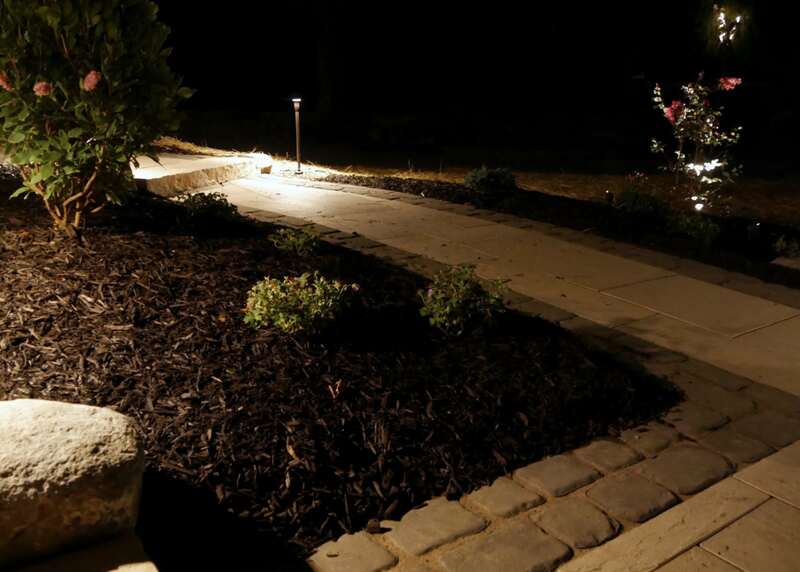 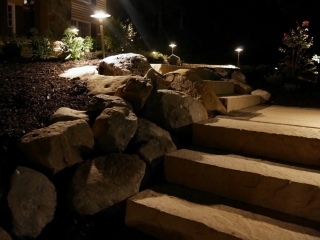 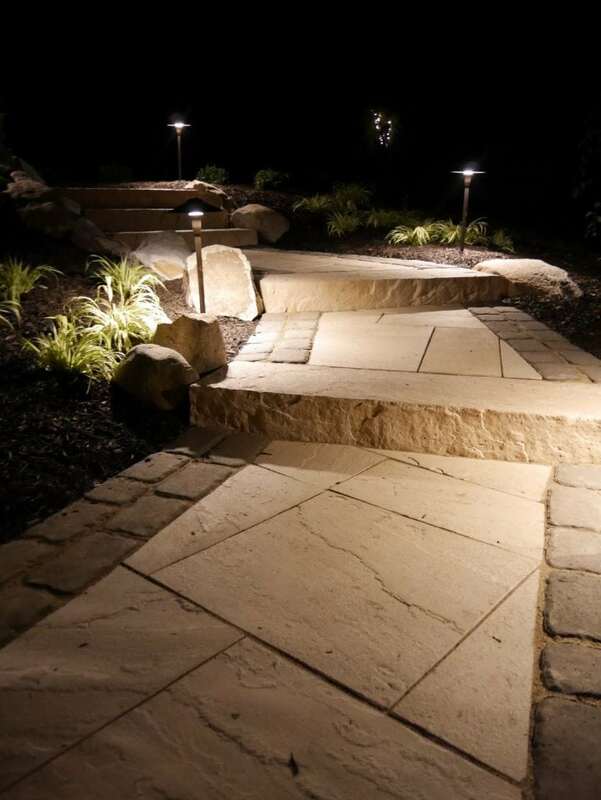 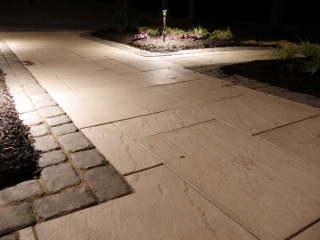 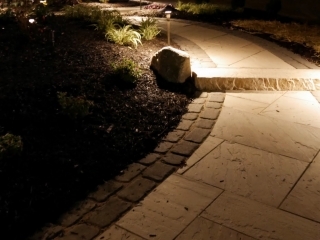 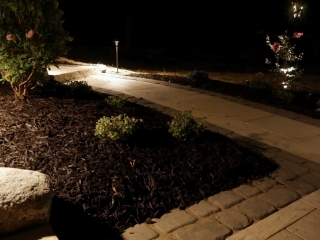 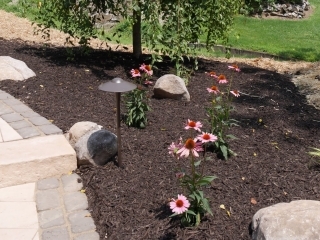 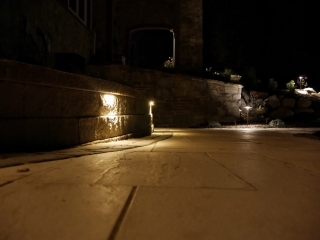 Allow our landscape lighting installers to help make your ideas and visions come true. Check out a few of our recent projects below!